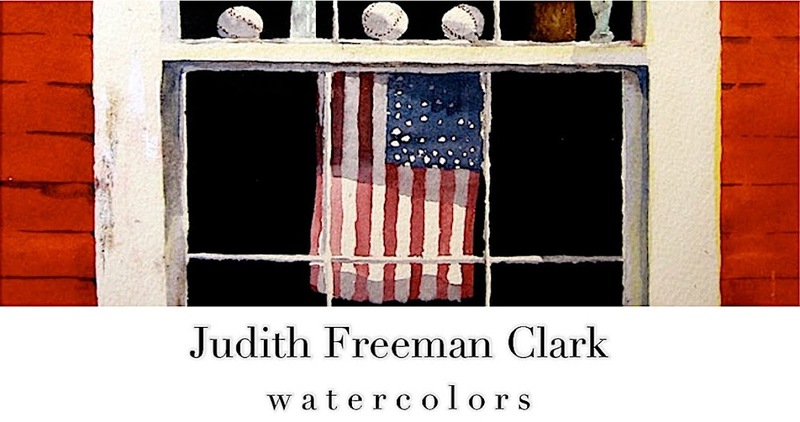 Sometimes when I review older watercolor sketches, I decide that they'd be improved by some "tweaking." To help take my mind off an (unseasonable!) 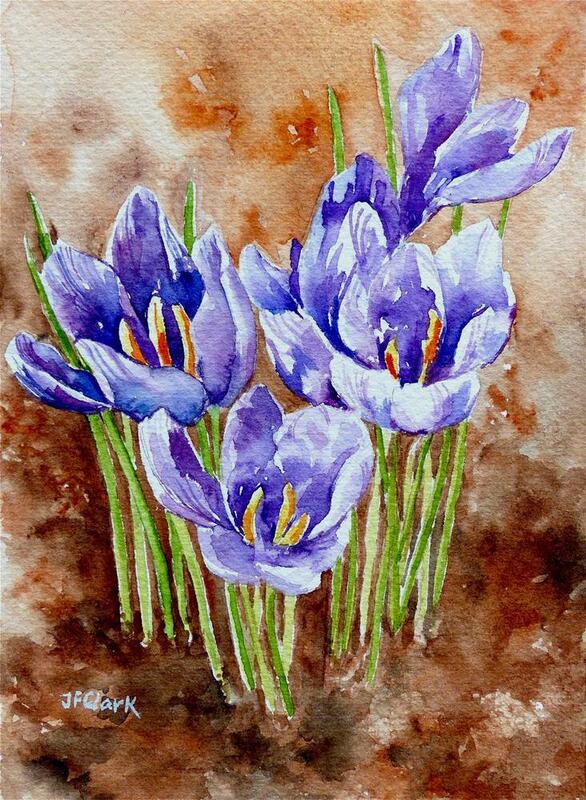 April 6 snowstorm, I pulled out of my stash of small paintings this one, of a clump of crocus. It had a somewhat flat, bland quality and I thought adding some deeper tones in the background might help, as well as adding more nuanced color to the blossoms. As a way to bring the latter forward, I dampened some areas on a few of the petals. Then, I dropped in Quinacridone Magenta, and a few spots of Opera pink and let the colors blend by themselves. I deepened the contrast by using more Dioxazine Violet in the central portions of each blossom. After dampening parts of the lower right of the paper, I dropped in a mixture of Sepia and Burnt Umber. While these colors blended, I used a dry-brush technique with Undersea Green and Green Gold in the middle background to suggest grass/foliage. The last step was to suggest shadows on the flower stems, with several washes of Ultramarine Blue and Dioxazine Violet. Although these changes were not radical, I believe the result is a more lively painting.